Were you once a director of the Thunder Bay Kayak and Canoe Club? How about the Thunder Bay Native Business Association or the Thunder Bay and District Cat Club? Those organizations and many more have hundreds, or even thousands, of dollars sitting in unclaimed bank accounts with the Bank of Canada. Were you once a director of the Thunder Bay Kayak and Canoe Club? How about the Thunder Bay Native Business Association or the Thunder Bay and District Cat Club? Those organizations and many more have hundreds of dollars sitting in unclaimed bank accounts with the Bank of Canada. Every year, bank accounts that have not been touched for ten years get transferred to the central bank if the owner can't be contacted. Owners of accounts with less than $1,000 in them have 30 years to claim that money. Owners of accounts with more than $1,000 in them have 100 years. Thunder Bay Neighbourhood Watch, an old initiative of the Thunder Bay Police Service, currently has more than $3,000 in such an account. "This will definitely be investigated by the Thunder Bay Police Service," said staff sergeant Ryan Gibson, who oversees the force's Zone Watch program — a successor to Neighbourhood Watch — when contacted by CBC. Asked what Zone Watch could do with more than $3,000, Gibson said it could buy everything from penny candies for volunteers, to merchandise such as pens to give out at community outreach initiatives, or lunch at training academies. Another unclaimed bank account belongs to "Thunder Bay Immigrant & Visible Minority," according to the Bank of Canada web site. Could that be money belonging to Thunder Bay Immigrant and Visible Minority Women, an organization dating back to the 1980s? "Could be," said Christiene Hall, a former member of the group. The organization no longer exists, Hall said, and she questioned whether it would be appropriate for her to claim the money. "Would it be right for me to do?" she asked. "I could possibly donate it to another group or something. That's what I would do. I wouldn't keep it." One group that is aware of unclaimed funds at the Bank of Canada is the Lakehead Canoe Club. "That really should belong to the Lakehead Canoe Club," Kromm said. "The reason being, that going back to the start of those clubs, the Thunder Bay Canoe and Kayak Club, when it sort of disbanded, it morphed into ... the Lakehead Canoe Club." "We have tried on a number of occasions to gain access to those funds," Kromm said, "unsuccessfully because the people who originally started that aren't there any more." The person most likely to have access to the old Canoe group's money is co-founder Doug Charters, he added. 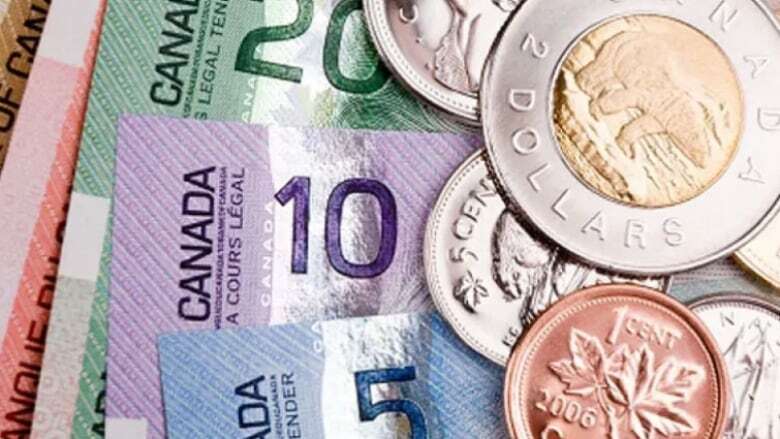 Is there a chance that you or someone in your family have unclaimed funds sitting at the Bank of Canada?